Platform 2 was our final intervention. 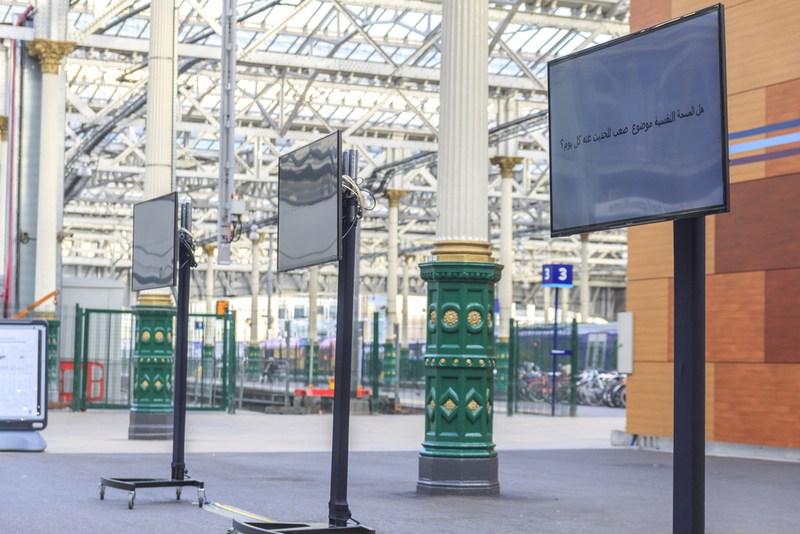 On Saturday 3 October 2015, seven LED screens and seven pairs of benches were placed along the public space at Edinburgh Waverley Train Station. The intervention resembled a waiting area, complete with advertising screens similar to those around the station. The benches were inward facing and unusually close. 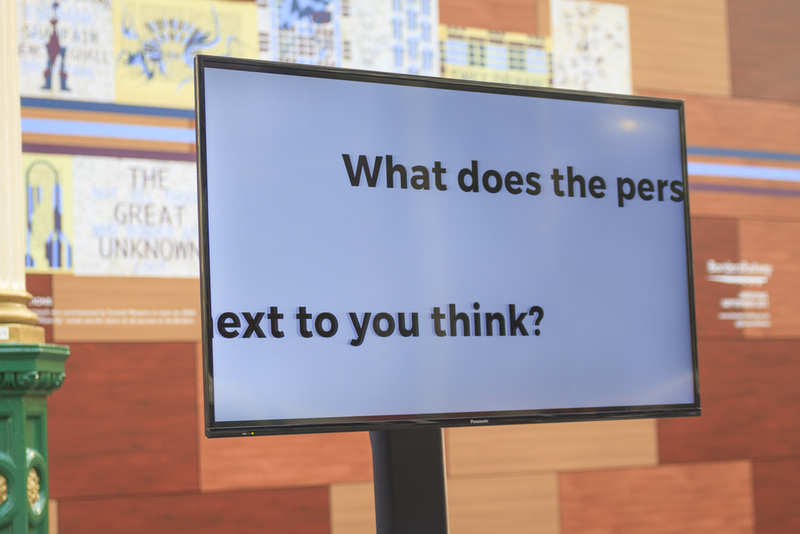 Text appeared on the screens which asked the same questions that we have asked since we embarked on our mission. People coming, going and waiting in the station as well as an invited audience were welcomed to the benches. In contrast to previous interventions, Platform 2 prompted people to speak to each other rather than to the Creative Team. Throughout the day more than 300 people had conversations about mental health, many of whom stayed for several hours at the benches. Creative Team: Sandra Ramsay, Kate Wylie, Elspeth Morrison, George Roy, Janet Tennant, Jenny Pewsey, Jamal Tarafdar, Keshav Bhatnagar, Shirley-Anne Collie and Maxime Ragni.